Simply Incredible!! 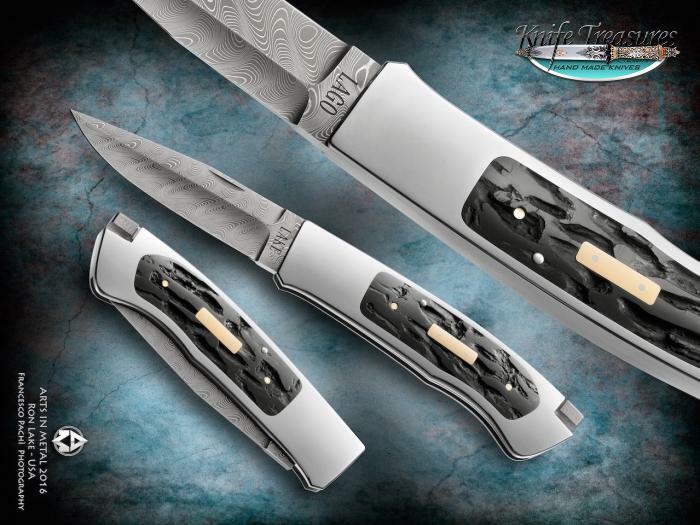 This is the knife that Ron Lake made for the Stresa Show in Italy for 2016. It is the coveted "large" size measuring 7-1/2" open and 4-1/4" closed. The blade is the only one according to Ron that he has etched Damascus on. The tail lock is also made out of Damascus. 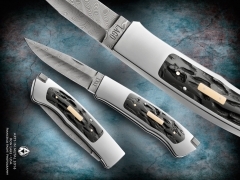 The amazing inlay is of Surface Black Buffalo Horn and has 2 Gold Escutcheons in the inlays as well. Simply AMAZING! !